It’s Chilly time folks! 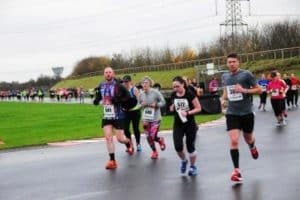 The traditional season opening DB Max Castle Combe ‘Chilly’ 10k is on Sunday 18th February at the world famous Castle Combe Circuit and we are looking forward to welcoming you to this year’s event. There is the opportunity to collect your race number on Saturday 17th February with registration open at the track from 14:30-17:00. The Strawford Centre where spectators can get out of the cold is closed at the moment for refurbishment, so ensure all those coming dress for the conditions. That’s all for now. Good luck with your final race preparations and we look forward to seeing you on Sunday 18th February.